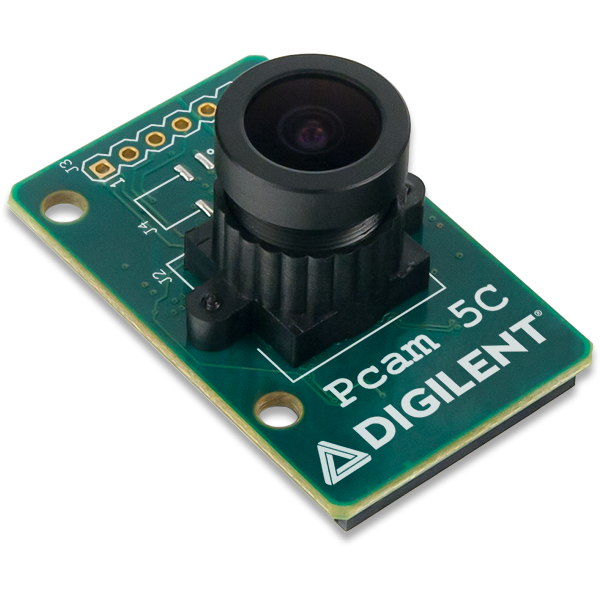 Pcam 5C 5 MP fixed focus color camera module featuring the Omnivision OV6540 5 megapixel image sensor. Heads up : Today is the last day of this sale! Released last month, the Pcam 5C is an open-source peripheral camera module designed specifically for use with the Zybo Z7 Zynq-7000 ARM/FPGA development platform. Unlike most other camera solutions that require HDMI or USB, we’re enabling direct communication between the sensor and the FPGA, resulting in a uniquely low-level camera solution and extremely low latency. And from now through February 23rd, we’re offering a free Pcam 5C with every Zybo Z7-20 purchased! The complete bundle includes a Zybo Z7-20 with SDSoC voucher, Pcam 5C, 10 cm flat-flexible cable (FFC), complete with video streaming demo/tutorial and open-source IP. See the Embedded Vision Bundle on the Digilent Store for more details. 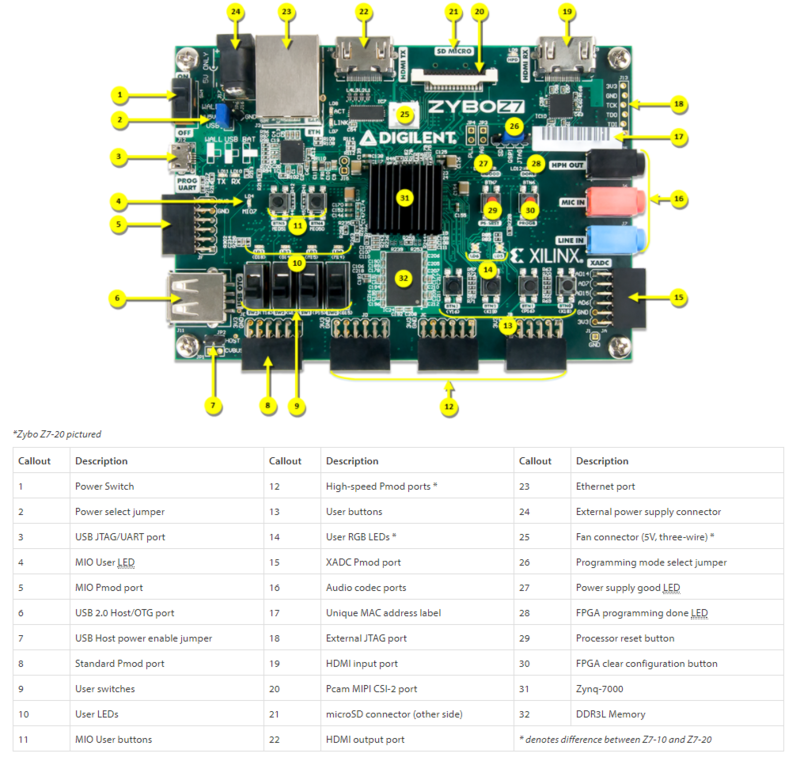 The Zybo Z7 is an upgrade to our popular Zybo board, and now includes the FFC connector used by the Pcam 5C. It is currently Digilent’s only development platform with this connector. 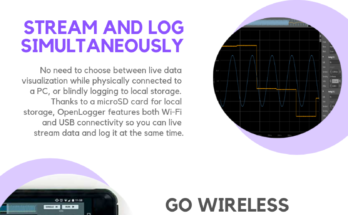 The Pcam 5C transfers data over a dual-lane MIPI CSI-2 interface via the 15-pin FFC connector, which is pin compatible with the familiar camera connector found on the Raspberry Pi board. The module comes with a factory installed fixed focus lens that can be manually adjusted by the user depending on the application. Zybo Z7-20 walkaround image. Differences between the Zybo Z7-20 and -10 are starred in the table. The Pcam 5C is a uniquely low-level design because data is transferred over the Omnivision OV5640 image sensor’s native interfaces, CSI-2 and I2C. 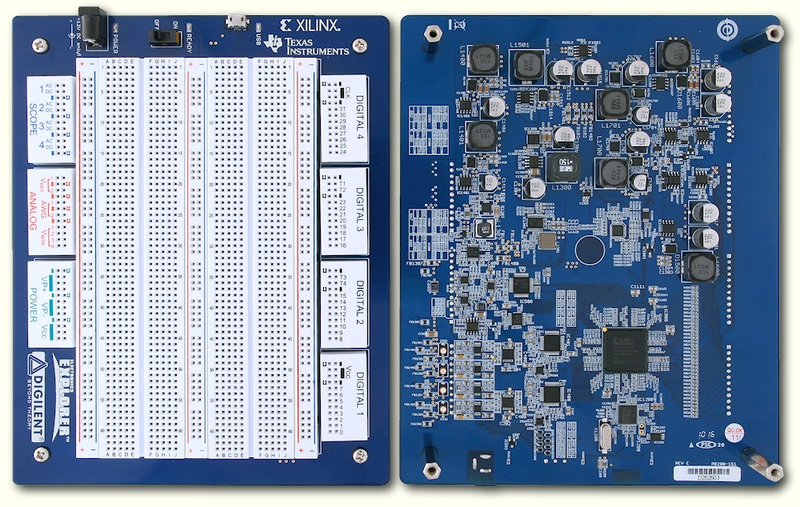 Since the video data is flowing into the FPGA as opposed to a hard silicon CSI-2 decoder (such as is present on the Raspberry Pi), users can study exactly how the D-PHY and CSI-2 decoding works, making the Zybo Z7 + Pcam 5C a valuable combo to those looking to develop their own embedded vision products and applications, or study embedded vision concepts. Pcam 5C + Zybo Z7 demo in action, displaying live data from the Pcam 5C. Digilent has created the Pcam 5C + Zybo Z7 demo project to get users started with the bundle. The demo passes video data from the image sensor out through the Zybo Z7 HDMI port to a display. All IP used in the demo is free and open-source, including a D-PHY receiver, CSI-2 decoder, Bayer to RGB converter and gamma correction. For any questions or comments on this limited time Embedded Vision Bundle, don’t hesitate to leave a comment below! Previous Article What Is The Deal With Cryptocurrency and FPGA? what is the price of board and how much is its ram?? Hi thanks for the comment. The board is $299.00 standalone and it has 630 KB of block RAM. You can check out the board specs here! I have been trying to figure out what kind of hardware/software is needed for my project. The project is getting the images with a high speed image sensor with a frame rate of 500-1000fps at a lower resolutions such as 160×120, 480×360 pixels or @VGA (any of resolution is okay). The frames will be read with FPGA SoC board and will be saved to external hard drive via FPGA board. Q1: Can this example project do 500+fps with lower resolution (160x120pixels)? Q2: If not, what is the bottleneck and is there a way to fix it? Q3: If the bottleneck is the image sensor, can it be replaced with any other, do you sell different embedded vision kits that capable of doing my project? 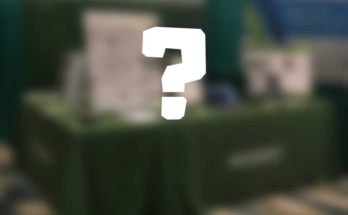 Q4: If the bottleneck is the FMC daughter board, do you have a better one or do you have any suggestions? Q5: If the bottleneck is interface, what do you suggest? Q6: Is there any other way to connect the image sensor to an FPGA, if so would lead/help me to find out? To improve colors I have successfully used the app Color Corrector (https://www.microsoft.com/store/productId/9PNVVHVWZB85) to generate a CCM (with gamma non corrected images) that I have then implemented in code before gamma correction.